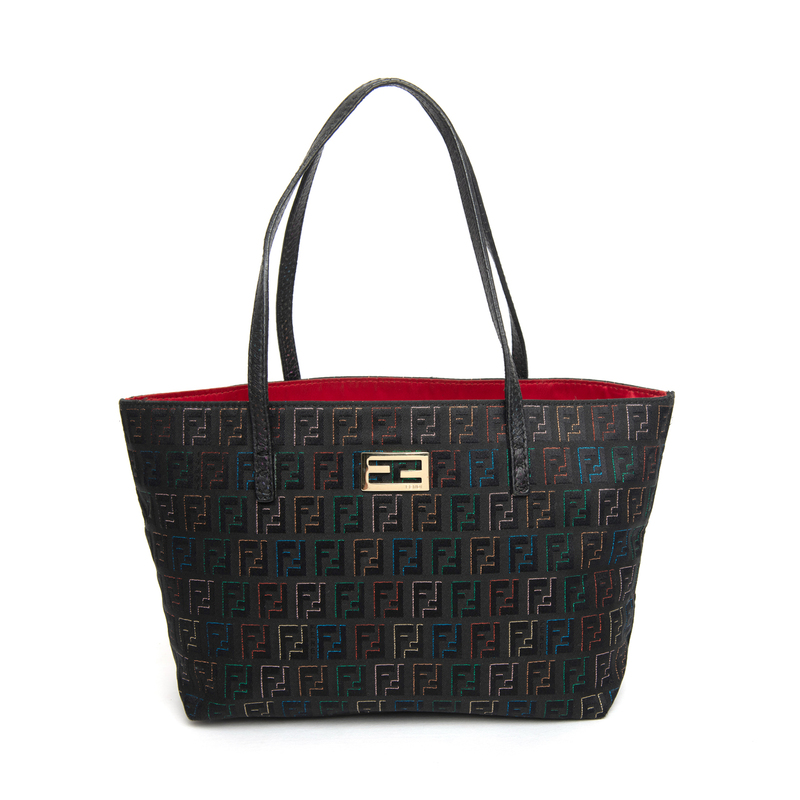 Fendi brings you its classic everyday shopper tote with a twist! 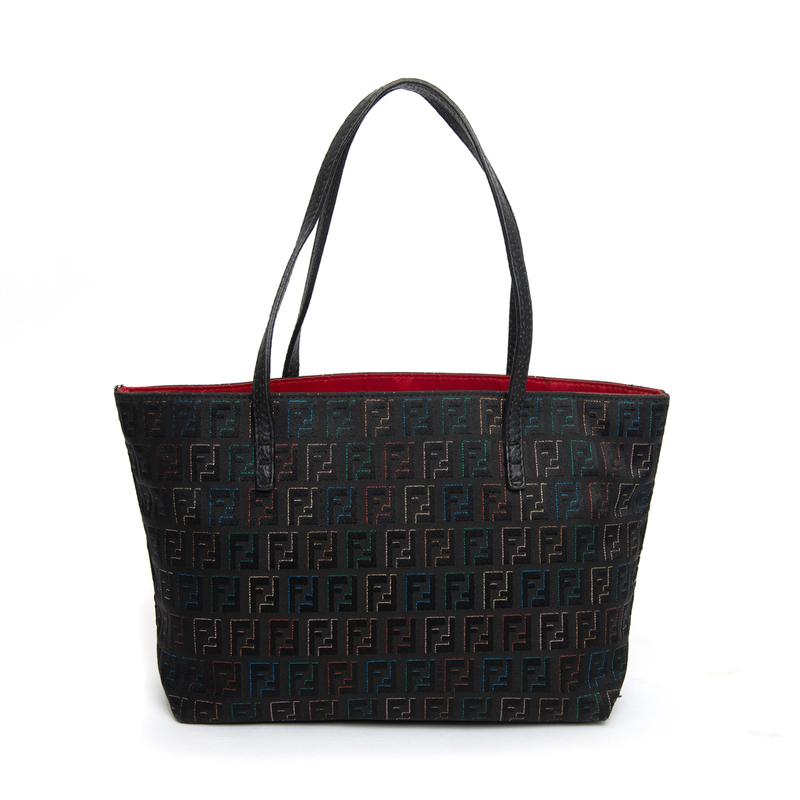 This black Fendi ‘Roll’ Tote is made of specially treated signature monogrammed Zucchino canvas. 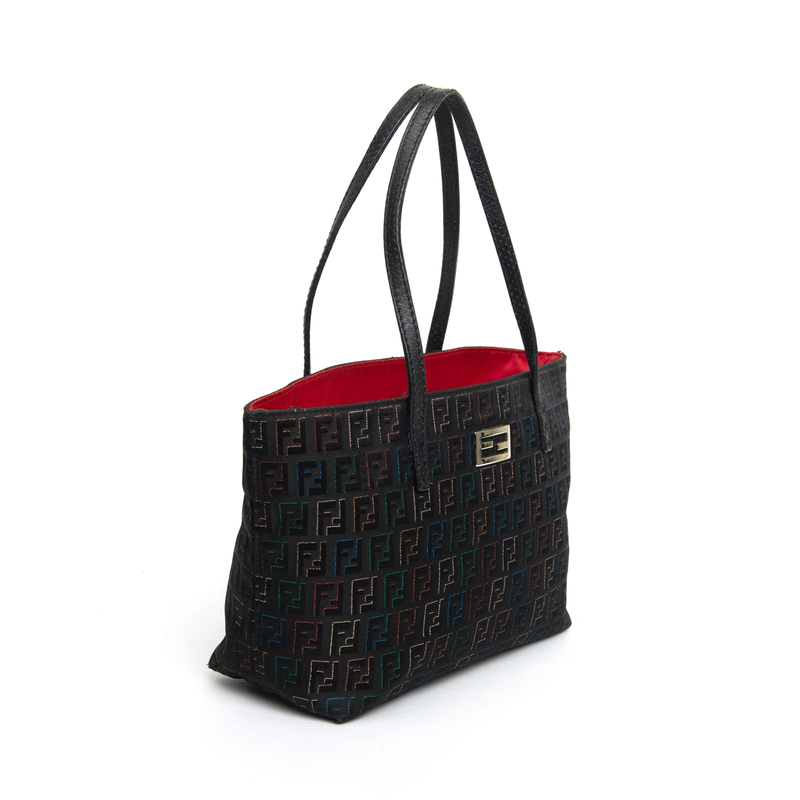 It is accented with Fendi logo at the front and is equipped with thin flat leather shoulder straps. 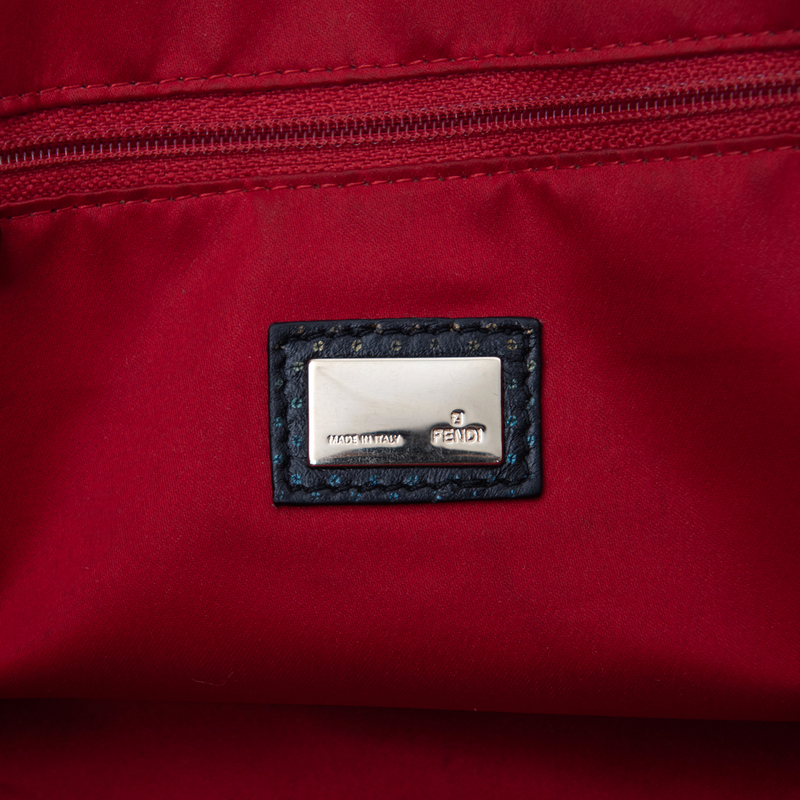 The interior is fully lined with bright red satin and houses a zip pocket. 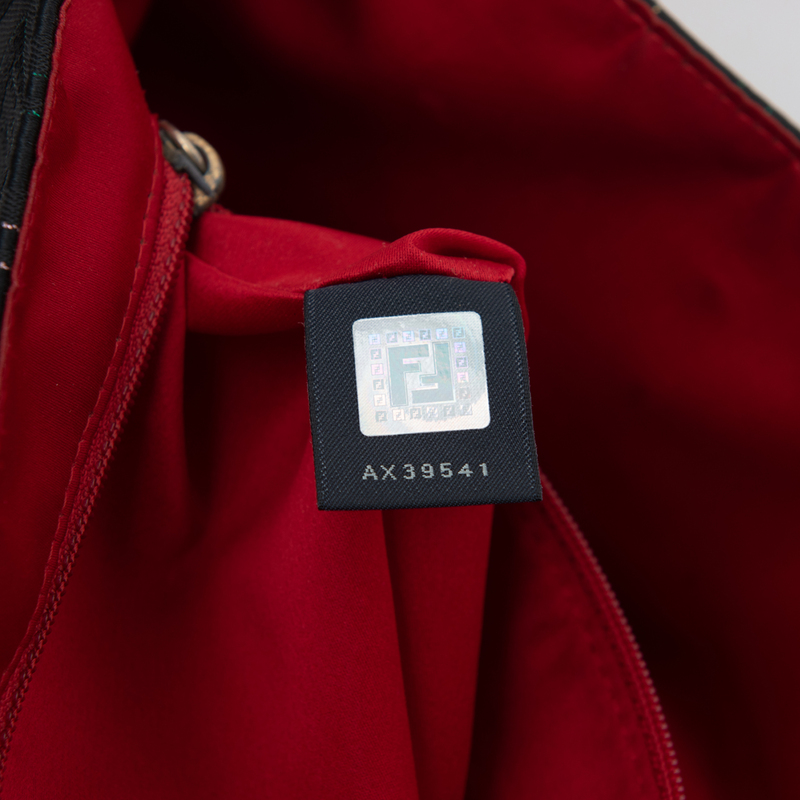 Exterior: The exterior canvas has light wear on the corners of the bag. There are pulled threads in a few places. The glazing of the handles has cracked. 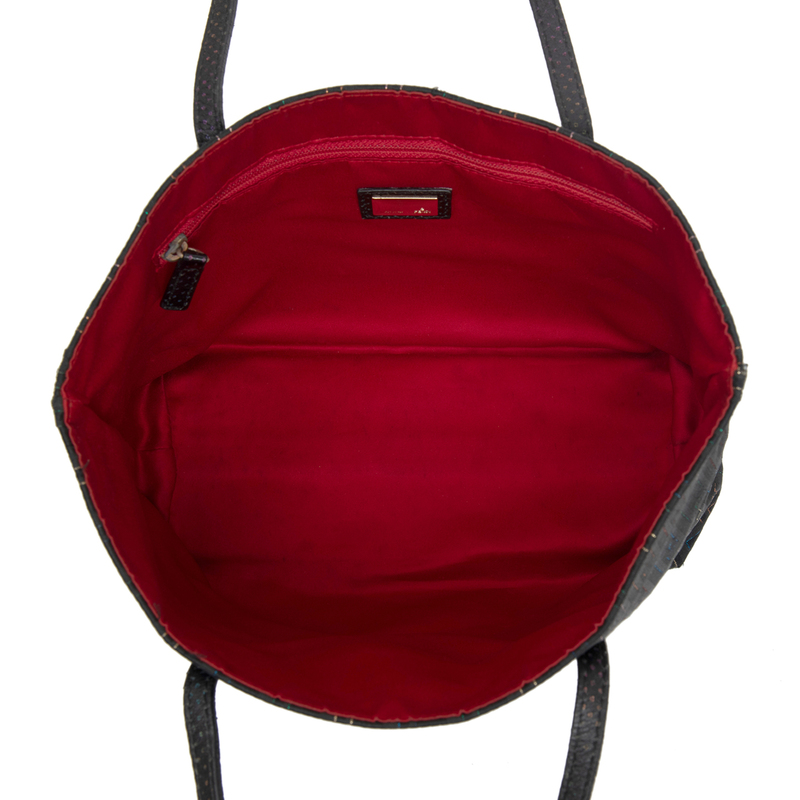 Interior: The interior satin lining has small black stains throughout. Hardware: The hardware has surface scratches. LabelCentric is not affiliated with Fendi. 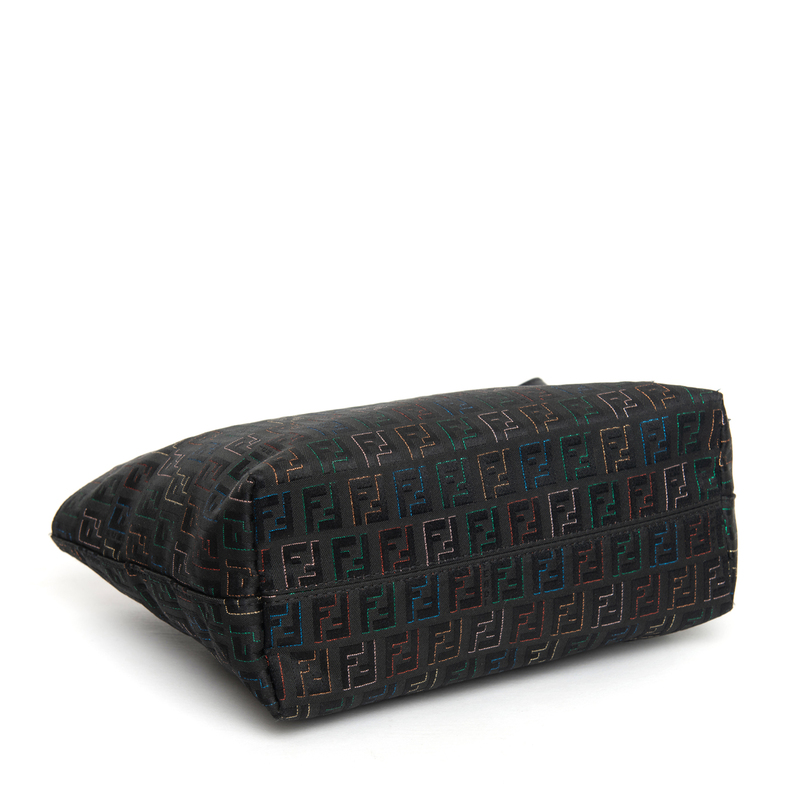 We guarantee this Fendi item to be authentic ( find out how ). Fendi® is a registered trademark of Fendi.